Astrong Paint Sdn Bhd is a highly specialized company in developing, manufacturing and marketing of industrial paints and coatings. Founded in millennium year 2000, we at Astrong Paint Sdn Bhd have served our customer by providing total solution to meet increasing stringent requirements in the coating industry. Astrong Paint Sdn Bhd is well recognized for its high quality products and services in the industry. We are proud to be associated with numerous of international well known electrical appliances manufacturer. Our products also pass the stringent requirement in automotive industry and used in our national car. Besides service the customers locally, we also export our products as far as to South Indian continent. 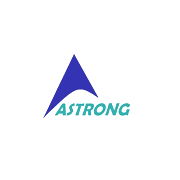 Astrong Sdn Bhd is a Paint Manufacturer of Industrial Paint and Coating, Plastic Paint, Polyurethane Paint, High Performance Coating, Adhesion Coating, Auto Refinished in Shah Alam, Puchong, Petaling Jaya, Klang, Selangor, Kuala Lumpur, Malaysia etc.